SoftFuse Password Generator Std generates difficult-to-crack passwords in a matter of seconds. While creating a password, you may use letters, digits, symbols, as well as their combinations. You can generate extremely strong passwords up to 128-character length and lists up to 100 unique passwords at once! 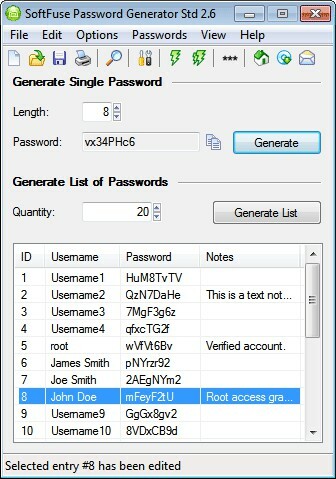 This password program is a simple-to-use but it has many advanced settings: hash generator, hex passwords output, mask support, export/print.